Is French President Nicolas Sarkozy a sore loser? 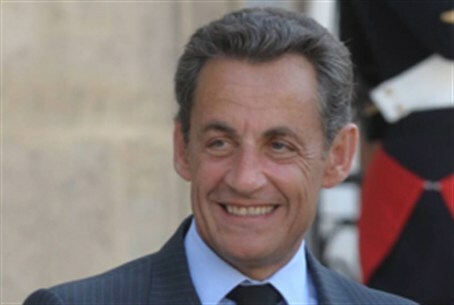 Sarkozy claimed last weekend that he will quit politics if he is not re-elected. French President Nicolas Sarkozy claims he will quit politics altogether if he is not re-elected to office in the next election. Sarkozy, who heads the center-right Union for a Popular Movement (UMP), faces stiff competition in the next election, according to the International Business Times. But if he does lose re-election, he will be the first president of France to have done so since George Pompadou. Polling data showed that his closest rival, Socialist Party candidate Francois Hollande has so far secured 31 percent of the vote, while Sarkozy is holding on to just 25 percent. In a runoff, the incumbent president would take only 40 percent; Hollande would win 60 percent. French Socialist Marine Le Pen is also still a contender, polls show, having broken the initial resistance line of 20 percent a few days ago. Le Pen has vowed to withdraw France from the European Union and drop the euro if elected as president. "In any case, I am at the end,” Sarkozy reportedly told his aides and a pool of reporters in remarks leaked to French media on Tuesday.